Recently, I had the opportunity to participate in an important and powerful conversation about the importance of diversity and inclusion in achieving economic equity at the Opportunity Finance Network (OFN) conference in Denver, Colorado. This is a topic that hits close to home for me. Before I joined JPMorgan Chase, I spent 10 years at the National Council of La Raza advancing solutions aimed at closing the racial wealth gap, and I continue to serve on the board of Raza Development Fund. I share the opinion of many who attended the OFN conference, that Community Development Financial Institutions (CDFIs) play an important role in the realization of economic equity. Throughout the conference participants commented on how important it is for the industry to take a clear-eyed look at their own diversity, inclusion, and equity practices and impact if we are to advance the issue broadly. My experience–borne out by the data–tells me that we cannot be satisfied with diversity at a surface level. We must dig deeper to build lasting innovative and dynamic institutions that exhibit the highest level of expertise, reflect the communities we serve and will be the stewards of our shared mission of economic opportunity for decades to come. Indeed, if we are serious about economic justice, we cannot stop until systems are in place to ensure that race, ethnicity, sexual orientation, gender, or any other status are no longer determining factors in achieving economic mobility and equity. Not only is that critical for all the organizations represented at the conference, it is crucial to the future vitality of the communities we aim to serve. Of course, talking about how much the issues of racial equity matter to me personally would ring hollow if JPMorgan Chase was not demonstrating its commitment to this challenge. At the conference, I announced that JPMorgan Chase has committed $550,000 to OFN to jumpstart their analysis and implementation of collaboration and equity strategies. 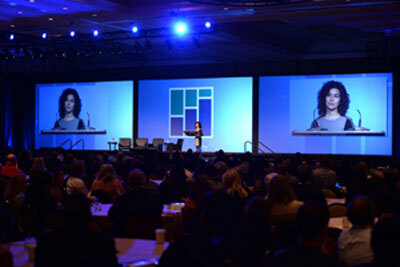 Many at the conference expressed their eagerness to support and respond to OFN CEO Mark Pinsky’s call to look inward and examine what more their institutions can do to reduce barriers to inclusion for women and people of color within the industry. However, doing so will require dedicated resources and JPMorgan Chase is pleased to be the first to step up to make that commitment. I hope others will do the same. Our support for women and minority-led institutions is on display in two other initiatives announced earlier this year. First, in January, we announced a $33 million investment in seven CDFI Collaboratives. This initiative challenged the field to think about how deeply-knit partnerships could help CDFIs scale and reach goals they could not achieve on their own. This is an important experiment in growth strategies, but it’s also a critical opportunity to support and mentor women- and minority-led organizations, as well as expand models with demonstrated impact among individuals and entrepreneurs of color and minority neighborhoods. Of the 23 CDFIs involved, 13 are led by women or people of color and all are tracking outcomes by demographic. Second is our $100 million commitment to the City of Detroit. Our investment in Detroit includes a partnership with Liberty Bank, one of the country’s largest African American-owned banks, to revive single family lending in Detroit. Mortgage lending has been stymied in the city by appraisal challenges, title issues, and cyclical disinvestment. In fact, in a city of nearly 700,000 people, there have only been 250 mortgages so far this year. By providing a loan loss reserve to Liberty Bank’s CDFI, we are enabling them to expand their lending in a deeply troubled market. These initiatives are not small, one-time contributions. They are long-term commitments to leverage grants as a catalyst for further investment in low-to-moderate income and underserved communities. Our goal is to help build institutional capacity, expand proven solutions to new markets, and encourage big thinking and strong partnerships. CDFI funds are crucial tools for supporting and investing in communities and JPMorgan Chase wants to be more than a funder. We want to work alongside the CDFI industry to address many of the emerging community development challenges of our day – including solving for equity and inclusion and integrating diversity practices at every level. Even before there was CDFI Fund, JPMorgan Chase was providing capital to the field. Over the decades we have become one of the largest providers of debt capital to CDFIs. From Detroit to Denver, our investments have allowed CDFIs to grow their balance sheets and expand the impact that their lending activities have on LMI communities. I was proud to contribute to the discussion at the conference and look forward to a continued partnership with OFN and the CDFI field as part of our shared mission.